Zerschmettert den Weltfeind. Wählt Nationalsozialistisch! 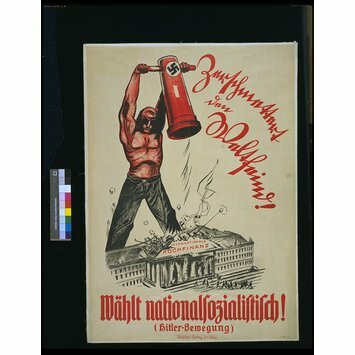 Despite its appearance during an election, this poster was designed to illustrate Nazi promises to deliver dramatic solutions to pressing social problems that the democratic system had been unable to solve. 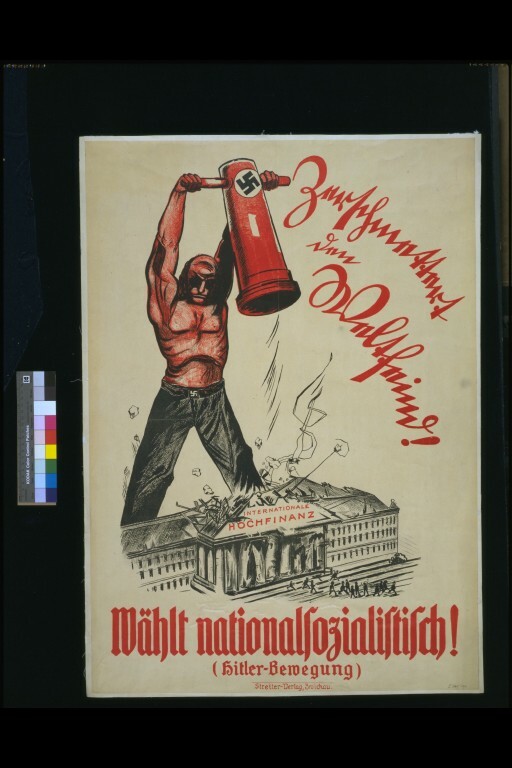 Opposition to parliamentary rule was a distinctive feature of both Left- and Right-wing activism in Germany in the 1920s; the figure of the proletarian destroying a parliamentary chamber was a typical theme in Kommunistiche Partei Deutschlands (German Communist Party) posters of the period. The motif of a worker destroying a parliament building is usually associated with Communism. However, the Nazis also used the idea to attract the worker’s vote. 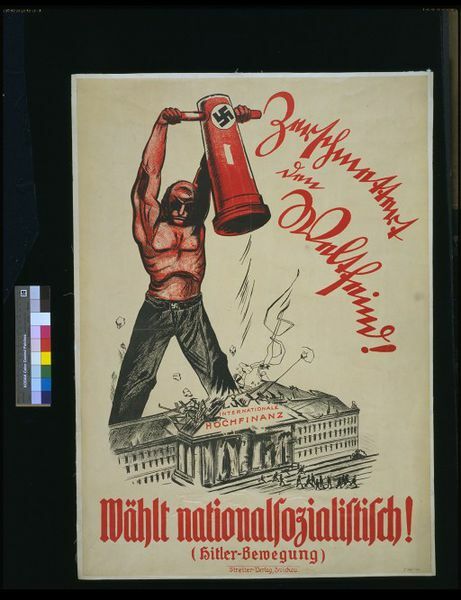 Here a muscular proletarian smashes the Saxon parliament, home of ‘International High Finance’. The implication is that the Nazis will deliver dramatic solutions to problems the democratic system had been unable to solve.